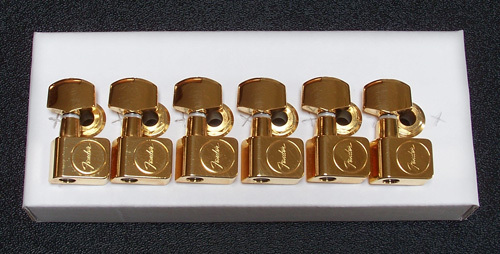 Genuine Fender® American Series Gold tuning keys. Typically used on the American Standard Strat and Tele. These do NOT have staggered height tuning posts. Includes screw-in bushings and washers. Requires 10mm holes in headstock.